We complained to Daily Mail editors, arguing that characterizing Israel’s security fence – erected in response to Palestinian suicide bombings during the Second Intifada – as an “apartheid wall” is an egregious distortion of the truth, and parrots the incendiary rhetoric of extremist anti-Israel activists. Daily Mail editors replied to our complaint that same day, and agreed to correct the caption. The word “apartheid” was removed from the caption. We thank the Daily Mail for the prompt correction. Excellent work, Adam. The Daily Mail must have some rogue antisemitic sub-editor to have used the term “apartheid wall”. I hope they’ve sacked him/her. How are you getting on with the Independent and the blood thirsty thing ? How is the broadband connection in your mummy’s basement, POS? 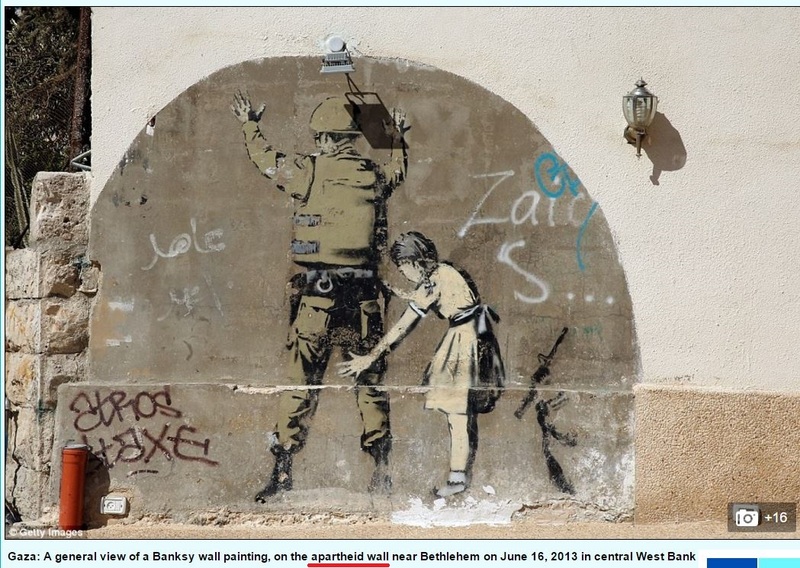 Every time I see that Banksy mural I wonder when I’ll see his humorous take on picking up the body parts after a Palestinian terrorist attack. Great job, UKMediaWatch! Give them hell to the antisemites! 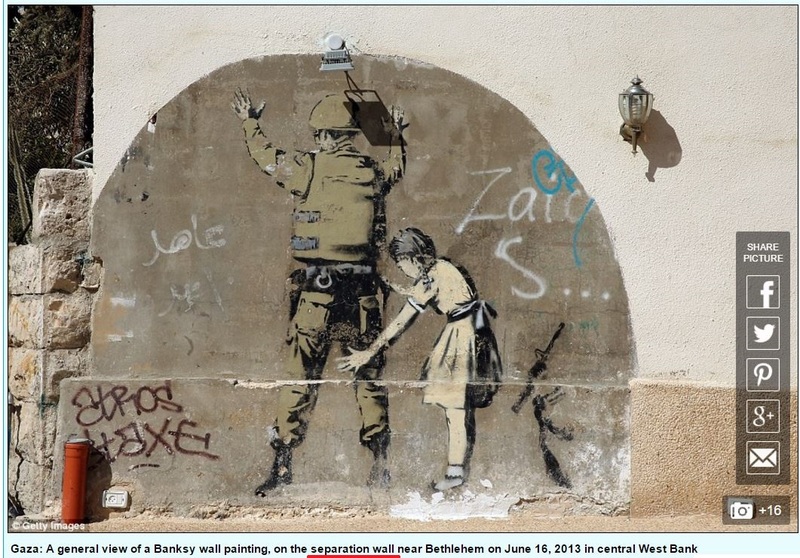 If Banksy isn’t some sanctimonious hypocrite…And if he were to be serious then he needs to go to all these Islamic states where human rights are a sick joke…. and put his wonderful “visionary”drawings on to their walls…He would/should get a lot of inspiration from both the Hamas’s and the PLO’s human rights violations….This Guy is nothing but a Sham a Coward and a Hypocrite…. Or just very very very thick. The Anti-Islamofascist, Anti-Terrorist Wall Saves Lives.